Biomechanical testing with BioRow helped us to verify our ideas about rowing technique and prove they are correct. Detailed and clear information on such important characteristics of technique such as the force curve, blade work in the water, synchronicity of the crew and many others allowed us accurate adjustment for each rower individually and to increase our positive confidence. It also helped us to choose an optimal combination of rowers. Biomechanics data works like X-rays and allowed us to see internal features of rowing technique of each rower - both positive points and things to work on. All these things allowed us to prepare in the optimal way for London and perform successfully. Working with Dr. Valery Kleshnev (BioRow) we have realised how important it is to pay constant attention to rowing technique, even with such an experienced athlete as Mirka Knapkova. It is especially important with rowers of the highest level, where often coaches and rowers lose their sharp vision of mistakes and problems. Valery helped us to obtain this vision. Quite often I use his verbal expressions and refer to his recommendation, when we discuss rowing technique with Mirka. Also, Valery has helped us to choose the most suitable boat for Mirka. Though another boat was faster during the testing, the data provided by Valery allowed us to look into the selection at a different angle of view. The problem was that Mirka was not able to produce her highest power in the fastest boat. Later we were able to achieve it and the result was excellent. 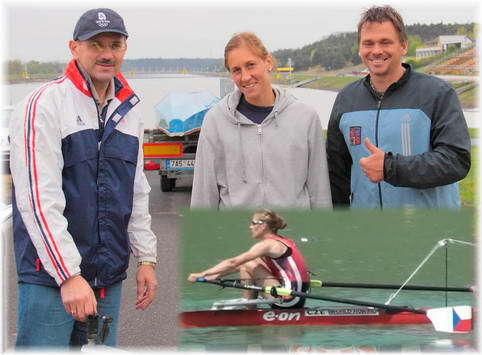 For the Danish Rowing Federation, working with BioRow was a part of the great success at the London Olympic Games. Our experience on working with BioRow was that after each session all we did was improve more and more. For the coaches, biomechanics was a very important tool to see the progress in the rowers’ technique, and define clearly what part of the stroke we had to concentrate our focus on to find more speed. 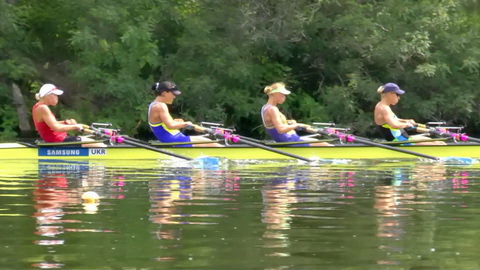 Biomechanics helped to evaluate the technique precisely, so the time the rowers normally use to change their technique has been cut down dramatically. The rowers of the Danish national team were very satisfied with the BioRow feedback and the reports on their performance. They became much more motivated to work with the technique, because the targets were set clearly and rowers know exactly where and what needs to be improved. When it comes to technique the communication between the coaches and rowers are much more positive, when both sides have 100% confidence about what to work with and why it needs to be improved.